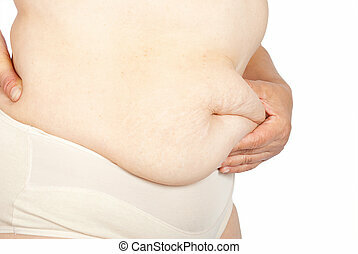 Fat woman pinching her fat tummy. 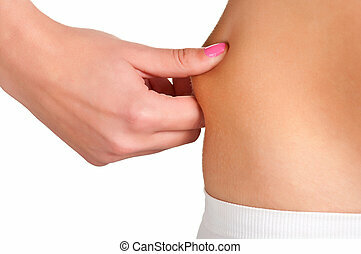 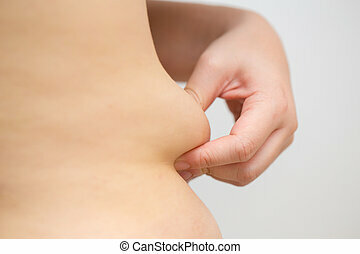 A pudgy, bloated female attempting to fasten jeans that have become too small for her. 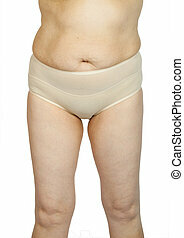 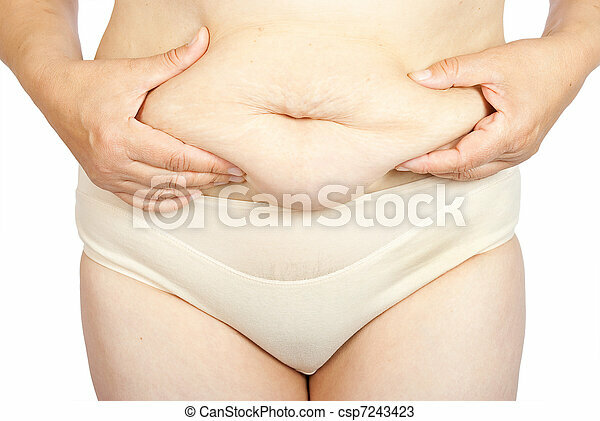 Fat woman pinching her fat tummy on white background.